“Wealth isn’t an endgame. It’s the beginning, but where to begin can be overwhelming. I’ve asked REDE to help me get started and take control of my financial life. I’m defining my relationship with wealth— and REDEFINING expectations.” Please see important disclosure. 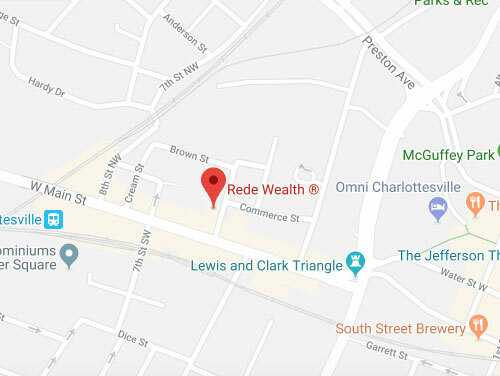 Rede Wealth is an independent wealth management ﬁrm based in Charlottesville, VA.